Why join the Mighty 44th? I’m a returning player and have been hunting around for tips and advice, and came across your website. Read through your Beginners Guide, and it was fantastic. Would like to be part of a social community who doesn’t mind casual and noobish players – who want to get better, but have fun doing. Tell us about yourself: I’m a Dad first of two amazing boys, so that tends to occupy a lot of time. 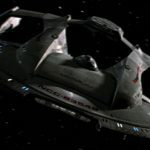 Love gaming – have a soft spot for the social aspects of MMOs – long term WOW veteran – 8 years clean now :-> Have played STO on and off since launch, but never really had an opportunity to get too involved, but I love Trek and want to spend some more time playing, enjoying and participating.